Top Dog Carts (TDC Manufacturing, LLC) is a leading manufacturer of mobile food carts, hot dog carts, concession carts, merchandising and specialty food vending carts. Our mission is to produce the highest quality mobile food carts for professional mobile food vendors, caterers and concessionaires. Our staff is dedicated to making mobile food vendors’ dreams come true! We have been designing, engineering and manufacturing food vending carts for over 30 years. Our commitment to quality, detail and personalized service are why we remain a leader in the manufacturing industry. Top Dog Carts are proudly made in the USA. 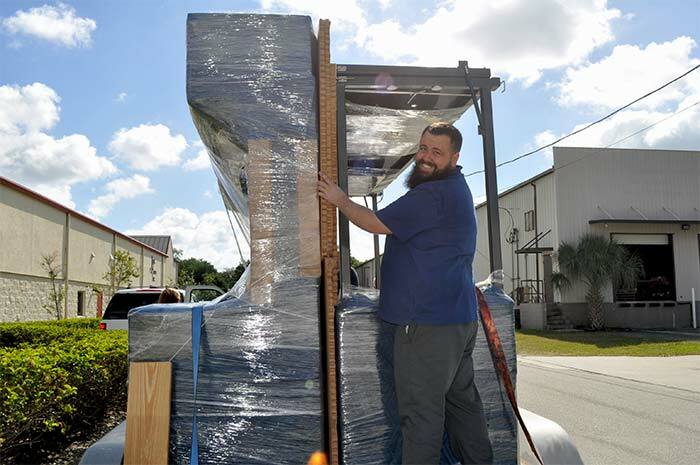 Our carts are designed, built and shipped worldwide from our manufacturing facility located in Central Florida. The many benefits and services included with a Top Dog Cart. Learn about our cart design features and engineering principles. See what goes into building a Top Dog Cart. We’re available to answer questions and discuss your cart needs. Questions? We're here to help! Call 888-282-5002.